One of the most common knee injuries is an ACL tear. In this post, I will address the most important things you need to know about ACL tears and your treatment options in Singapore. As an experienced Orthopaedic sports surgeon, I've treated all types of athletes. The young and old, world class to weekend warrior, with ACL injuries. I've distilled my knowledge. I want to help you make the most-informed decision possible regarding the management of an ACL injury. First up, what is an ACL tear? ACL stands for Anterior Cruciate Ligament. I often describe ligaments as a rope like structure. The ACL is one of the main ligaments in the knee. It sits in the middle of the knee and attaches the thigh bone (femur) to the shin bone (tibia). The key function the ACL is to stop the shin bone from sliding forward and rotating excessively. So if your ACL is torn, your knee has a high chance of giving way during movements that require a sudden change in direction. Some of these movements include, sidestepping, or pivoting. These may happen during a game of basketball, rugby, and even martial arts. If you have an ACL tear, it would have probably occurred while you were turning on your knee during sports. You will most likely feel a ‘pop’ sensation and realise that your knee is swollen. This is due to the bleeding of the torn ligament. Remember Michael Owen’s sickening injury during the 2006 World Cup? A key symptom is that you are immediately unable to walk or continue playing due to pain. After the swelling in your knee subsides, your knee may feel unstable or even give way. You're most likely unable to play your favourite sports. When I examine your knee, I'll use a series of tests to examine stability and ACL function. I'll then order an MRI scan to confirm whether you have an ACL tear and any other knee injuries. So if you have an ACL tear, you're actually in excellent company. Here's the good news: all these athletes from different sporting backgrounds were able to resume their playing careers successfully after an ACL reconstruction. Unfortunately, the ACL usually does not heal well on its own. I liken it to a rope. If a rope is completely torn in the middle, it is very difficult for the rope ends to come together for a long enough time to heal. Reason being, your knee is moving all the time. In the event that you have a partial ACL tear, or play sports that do not involve sudden turning movements, you may be able to return to sports without surgery. ACL reconstruction is when the torn ligament is completely replaced by a “graft” (it's a replacement tissue). This is to provide stability to the knee. For athletes who are unable to play sports following an ACL tear, this is the recommended treatment option. I'd usually recommend a good physiotherapist to help you undergo rehab before considering surgery. This allows your knee to regain full range of movement and strength. In my practice, I also offer a treatment called ACL repair. For this method, the ends of the torn ACL are reattached to the thigh bone using a device called an internal brace. Not all ACL tears are suitable for this method of treatment. There're many studies on the use of stem cell and platelet rich plasma in ACL healing. However, these technologies are still experimental. The “gold standard” (best) treatment is still ACL reconstruction surgery. How much does an ACL surgery cost in Singapore? In government hospitals, you can use subsidies of up to around $3,950 for the surgery. An ACL reconstruction costs around $1,000 after subsidy. In private hospitals, ACL reconstruction costs between $17,000 - $21,000. In certain private hospitals, if you have an Integrated Shield Plan and a full rider, you may be eligible for cashless treatment, with no payment needed at admission or discharge. Factors that affect its cost: class of bed, length of stay, cost of materials and implants. The cost of an ACL reconstruction at public hospitals is definitely cheaper. However, you may have to wait several months for your surgery. For private hospitals, you may be able to have your operation within the week. A non-specialist may be involved in a large part of your surgery in the public sector, unless you pay extra to be upgraded to private specialist only care. In subsidized B2/C class wards there is no air-con and each cubicle can have 6-8 beds. The choice between public and private is a very personal one. The experience between the two can vary significantly. Who will benefit most from an ACL reconstruction surgery? In a nutshell, anybody with an unstable knee that stops them from playing sport or working! Children or adolescents with ACL tears - a modified technique can be used to reduce risk of injury to the growth plate. When is the best time to go for an ACL reconstruction surgery after an injury? From my experience, going for an ACL reconstruction surgery within a few weeks of injury is most ideal. Delaying surgery for more than 6 months is associated with a higher risk of injury to other structures in the knee like cartilage and menisci. The whole procedure takes about an hour to complete. You will have an anaesthetic and go to sleep during surgery. I make 2 small keyhole incisions at the front of the knee. Then I make another small one on the inside to harvest your hamstrings to replace your ACL. This procedure is minimally invasive. Then, I inspect the knee thoroughly with a telescope, and drill small tunnels in the thigh bone and shin bone where the ACL sits. The placement of these tunnels is important to achieve a good result. I'll then pass the hamstring graft through the tunnels and secure it with a metal button and plastic screw. You'll be able to walk the same day after surgery with crutches. In the UK and Australia where I trained, most patients can go home on the same day of surgery. Who can perform an ACL reconstruction surgery in Singapore? Any Orthopaedic surgeon who is accredited by their hospital may perform ACL surgery. This may depend upon their training and number of cases performed. However, you may prefer to have your ACL reconstruction performed by a dedicated Sports Surgeon. What are the advantages and disadvantages of going for an ACL reconstruction surgery? How much improvement can you expect after an ACL reconstruction surgery? As I say to my patients, having an ACL reconstruction doesn’t turn you into Cristiano Ronaldo. However, it gives you an excellent chance of getting back onto the football field again. In one study involving 122 athletes, over 90% were able to return to sport following ACL reconstruction. What is the recovery process and downtime like after an ACL reconstruction surgery? After the surgery, you’ll be given some strong painkillers to minimise the pain. Hoever, if you've a physically demanding job, it will take you longer to return to work. As for sports, it can be anything from 6 - 12 months. Most of the times, people are able to get back to playing during the 9th month. Bear in mind that, some people are able to recover quickly, some take a little longer. Zlatan Ibrahimovic was back playing for Manchester United 7 months after his ACL tear in 2017. However, everyone is different. If you return to sport too soon, you've an increased risk of your ACL graft re-tearing. It's important to follow your physiotherapist’s instructions carefully. How to get the best results after an ACL reconstruction surgery? Firstly, find a surgeon that you feel comfortable with. I often advise my patients that it's best not to delay surgery more than six months following injury. Next, I will always recommend a good physiotherapist who will take you through the lengthy rehabilitation process and help you get the best result. Then, I typically arrange physiotherapy for you before surgery to regain full range of movement, decrease swelling, and increase leg strength. It's best to get moving as soon as possible after surgery (as pain allows). In the hospital, your physiotherapist should be working on getting your knee straight, reducing swelling, and getting your quadriceps muscles (front of thigh muscles) working again. Once you are discharged from hospital, you should begin physiotherapy as soon as possible. Over the next 6-12 months you should undergo a rehab program that will initially help you regain your leg balance, strength and agility. You'll then progress onto running and pivoting, and finally return to sport. Important note: Don’t be a hero and go back to sport too hard and too soon! Especially more so if you're involved in a sport with a lot of pivoting movements like basketball or rugby. Ease yourself in gradually. Remember, it will take time to rebuild fitness and skill levels. Last but not least, always warm up and cool down properly. Set aside extra time to keep working on the exercises your physio gave you. You should also participate in a neuromuscular training program (such as the Fifa 11+ or PEP program) to reduce to risk of reinjury, or ACL tear in the other knee. Will you still experience pain after the ACL reconstruction surgery? From my experience, I usually prescribe strong painkillers to minimise pain following the surgery. Most people stop taking the painkillers after a week or so. You should no longer feel the pain and shock associated with your knee giving way. What are the complications following ACL reconstruction? Temporary pain, swelling, and stiffness – this improves with painkillers and physiotherapy over time. Infection – around 0.37% risk of infection. You're given antibiotics at the time of surgery, and small incisions / keyhole surgery are used to minimise risk of infection. ACL graft re-tear – around 6% of patients may experience graft re-tear at 5 years. 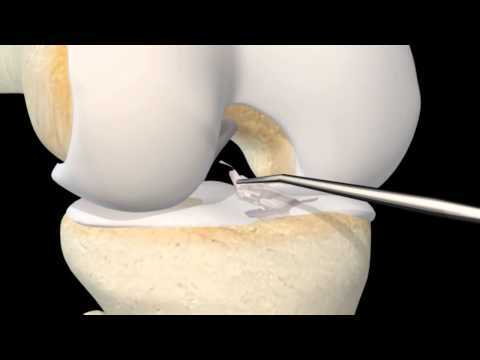 The ACL reconstruction is very strong, but may re-tear if you have a repeat injury to your knee. Following your physiotherapist’s instructions and not returning to sports too early may reduce the risk of re-tearing. The vast majority of athletes can return to sports. Most return to their pre-injury level of sport. How can you find the best orthopaedic surgeon in Singapore for ACL reconstruction? Personally, I think the best surgeon for you is one who is skilled, listens, and cares. Ideally, they will be active in sports themselves, and understand the mechanics and demands of your favourite sport. For me, I've played rugby and athletics to a high level at school and University. Currently, I compete in Brazilian Jiu Jitsu in tournaments across Asia. I also enjoy Muay Thai, golf, cycling, and skiing. I love sports! Which is why I am able to understand the thought process of a sports person and their concerns very well. Are you a dedicated sports surgeon? Do you play sports yourself and do you understand my sport? What is your favourite graft choice and why? What technique do you use (e.g. transtibial vs medial portal) and why? What sort of rehabilitation program does your physiotherapist use and why? When will be able to go back to work? The ACL is important for knee stability in sports requiring sudden turning motions. An ACL tear used to be a career ending injury, but now the majority of professional athletes are able to continue their careers following reconstruction, with the right surgical techniques and rehab. If you love sport but your knee keeps giving way, then ACL reconstruction may be the ideal solution for you. I hope this article helps you in your decision making process, good luck! Dr Alan Cheung is a Consultant Orthopaedic Surgeon in Singapore specialising in Sports Injuries and Adult Reconstruction. He also performs Robotic Surgery, and manages General Adult and Paediatric Trauma, and Musculoskeletal Tumours. He aims to perform surgery services through minimally invasive incisions to reduce pain, blood loss and scarring and allow a faster recovery.